I'm very lucky as I have my own office space in my flat where I can work for hours on end without being tempted to always work on the sofa. Don't get me wrong; I love working from the comfort of my own bed, but styling an office space to your own taste, will ultimately make you want to spend more time in it. 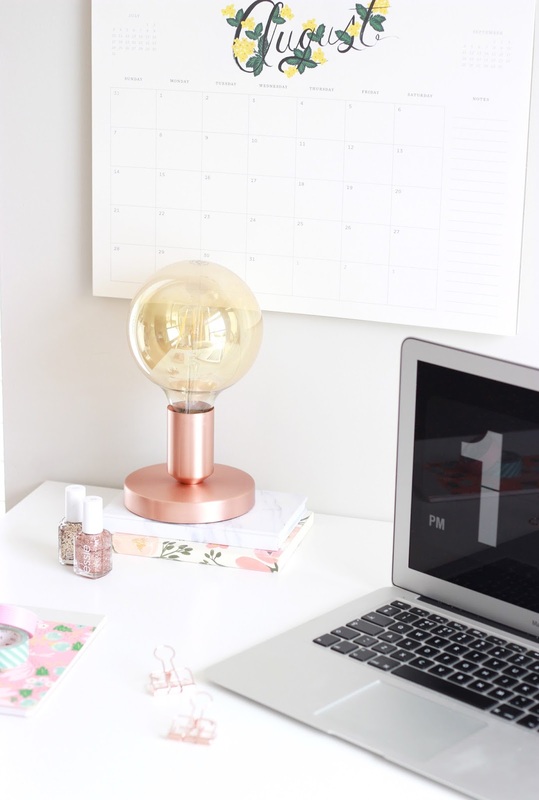 Today I am sharing with you my top tips on getting that Pinterest-worthy workspace. Keep It Minimal | Okay, so your desk is never going to be the most pristine place in your house and I'm sure after a days work it will be filled with lunch crumbs and post-it notes, but keeping any homeware to a minimum is a great way to make sure you don't end up with an overcrowded workspace. Saying this, copper and marble accents for me are the perfect way to make my office look more enticing and welcoming, as it actually makes me want to be there. Style your space up to suit your own personal taste. 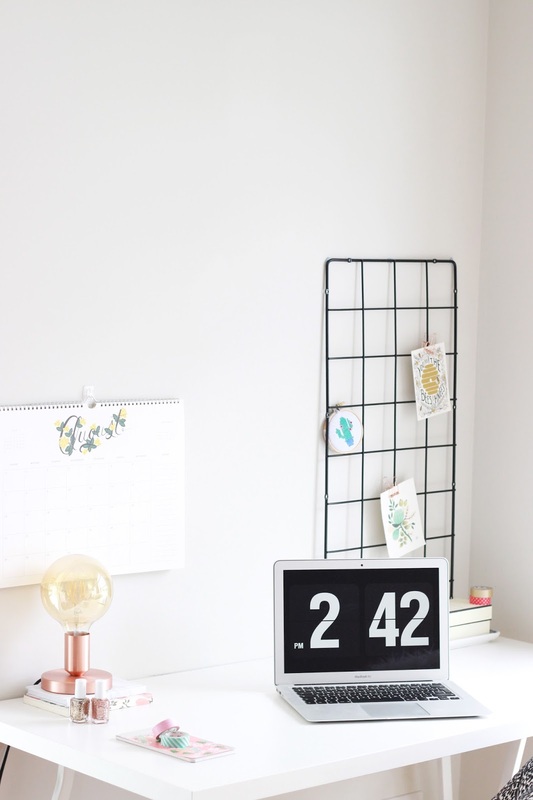 DIY | Whether it's spray painting the legs on my IKEA Lerberg desk from black to white or popping to IKEA and picking up this £10 trellis to transform into those grids for your desk, DIYing is the perfect way to make your office unique to you and inspire you in the process. I've been creating a pom pom garland and cross stitching my way to create an office space that fills my head with creative thoughts. Add Texture | Whether it's a blanket or rug draped over your chair, a cushion to prop you up or a stack of books in the corner, adding texture to your office can pull the whole of the room together. Although an office is obviously just meant for working, I actually keep a basket full of blankets, colouring books and wool underneath my desk and often have a few plants floating around the area to add colour too. 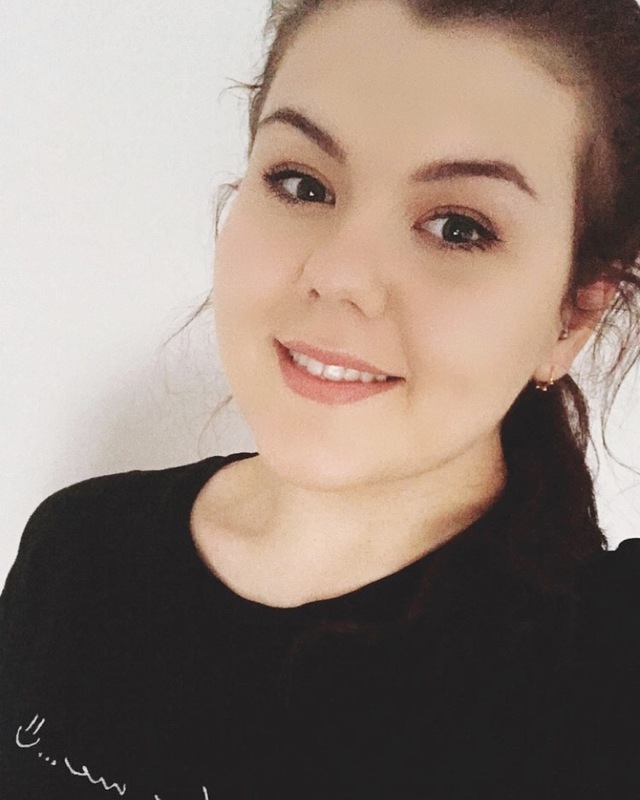 Think About The Basics | It can be easy to get carried away with pretty homeware and forget the basics like storage and stationary. Obviously keeping notepads, pens and your laptop to hand is an essential for working, but make way for storing important documents and files in your workspace too. Having a neat storage system underneath your desk can be the most effective as it allows more room to work with. What are your top tips on styling an office space?